Our price:£ 2,847.71/pcs. tax incl. The Pepwave MAX brings wireline reliability to environments where no other solution can. 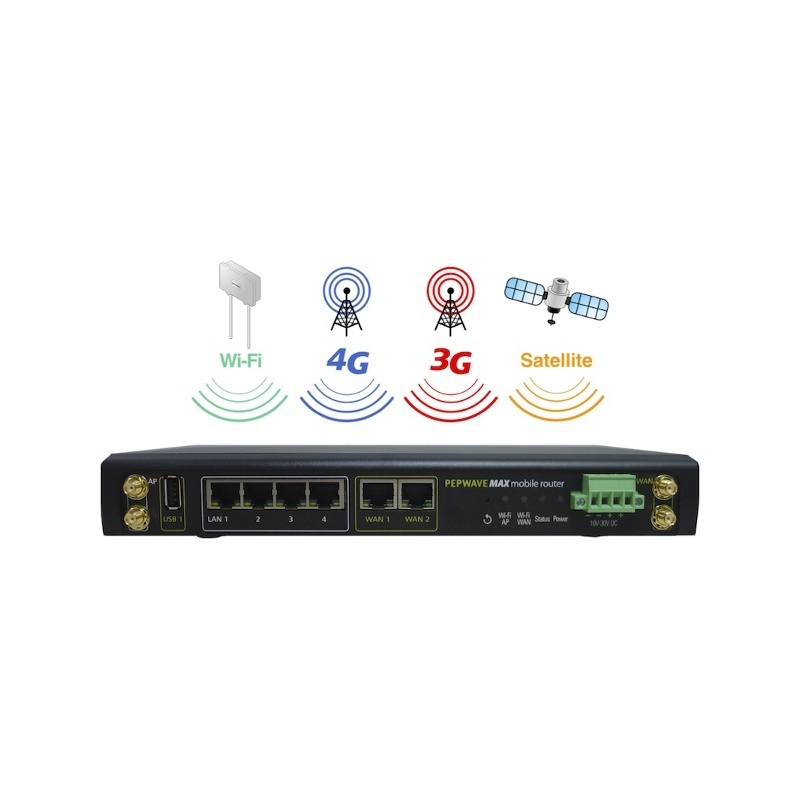 The Pepwave MAX combines as many as seven 4G LTE, 3G, VSAT, Wi-Fi WAN, and other mobile connections to deliver consistently high speeds and 100% uptime. Bond up to four USB modems and add broadband landline connections for blazing data transfer anywhere, anytime. 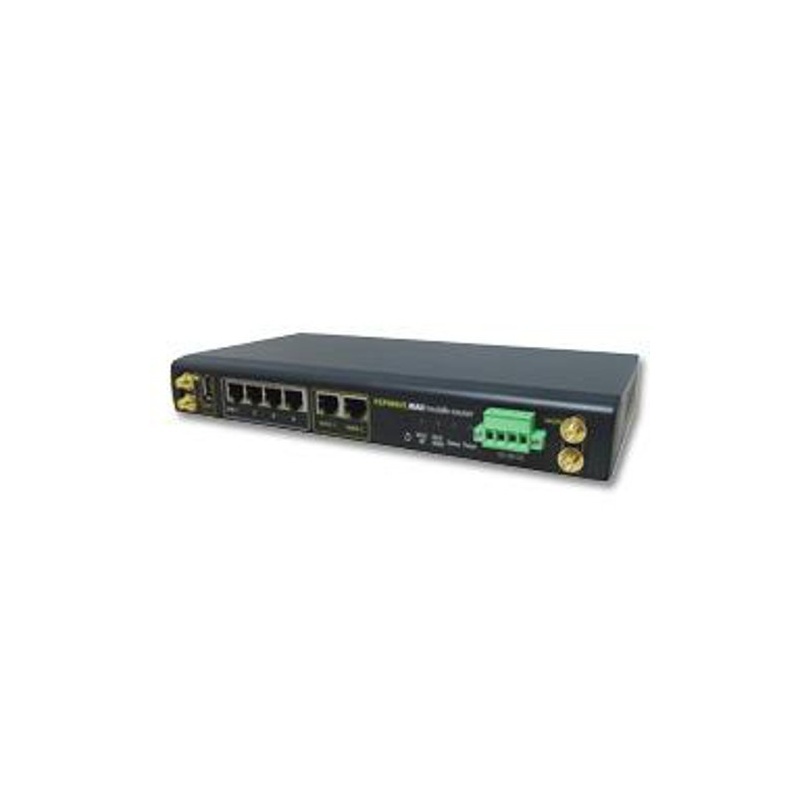 Leave your external modems behind. 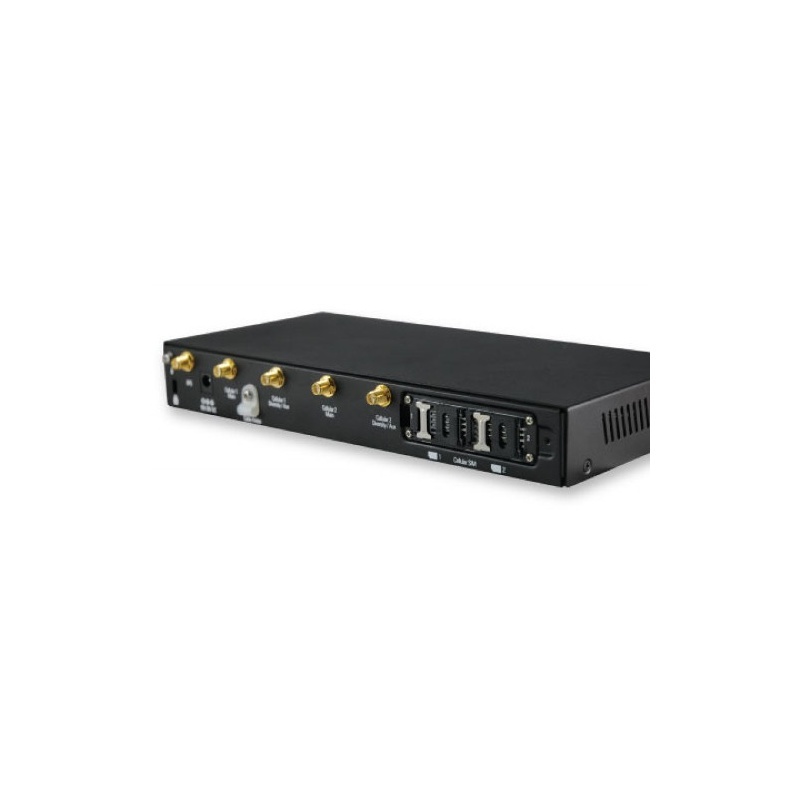 The Pepwave MAX features integrated 4G LTE or world-mode 3G modems for instant connectivity anywhere you go. And because the MAX is easy to configure and shock/vibration resistant, you can give your mechanic a break. With persistent session roaming, our SpeedFusion Bandwidth Bonding technology keeps your mobile network up and running at all times. No matter where you travel, you get uninterrupted access to POS, ERP, VoIP, and other critical data, even when individual links go down. 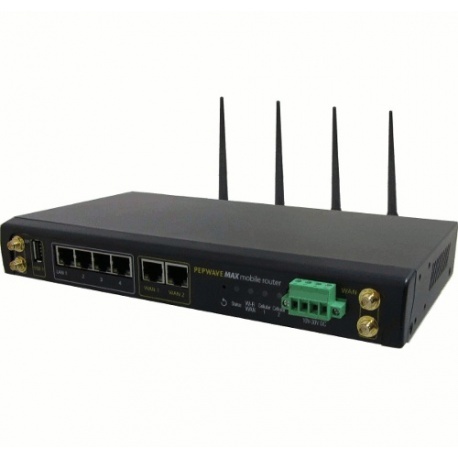 The Pepwave MAX HD2 mobile router gives you the ultimate in mobile connectivity. 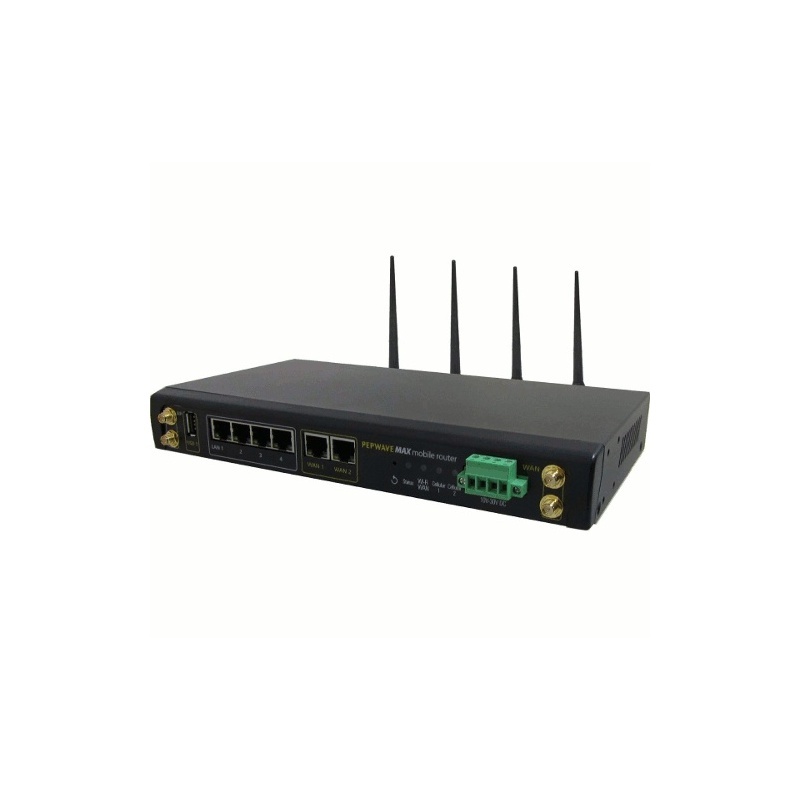 With the ability to combine a variety of wireless services, the MAX gives you maximum reliability through automatic link failover and scalability with multi-WAN load balancing and SpeedFusion bandwidth bonding.